Former PM helped connect Hollywood mogul Harvey Weinstein with organization of ex-Mossad agents he hired to investigate with his accusers. 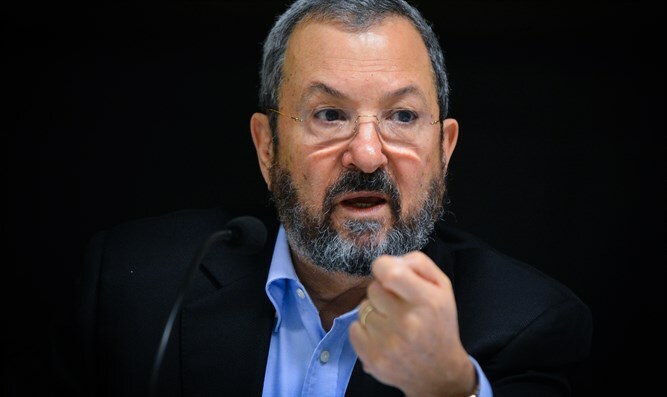 Former Israeli Prime Minister Ehud Barak connected Harvey Weinstein with the Israeli firm he hired to investigate women accusing him of sexual assault and journalists working on the story. Barak said, however, that he did not know what Weinstein wanted to hire the Black Cube agency to investigate. The connection was first reported Tuesday evening by Israel’s Hadashot, formerly Channel 2. “Until this morning, Barak was not aware that the company was hired by Weinstein, nor did he know any of the purposes or activities it was hired for,” the statement also said. Black Cube, which Weinstein hired in the fall of 2016 in order to suppress the allegations, has branches in Tel Aviv, London and Paris, and offers its clients the skills of operatives “highly experienced and trained in Israel’s elite military and governmental intelligence units,” the New Yorker’s Ronan Farrow reported Monday, citing the company’s literature and website. The Black Cube agency was hired specifically to prevent The New York Times and the New Yorker’s investigative reporting on the famed Hollywood filmmaker, as well as actress Rose McGowan’s book discussing his alleged abuse, the New Yorker reported, citing one of several contracts signed with Black Cube. Over the course of a year, Weinstein had the agencies collect information on dozens of individuals and compile psychological profiles that sometimes focused on their personal or sexual histories. Black Cube did not comment to the New Yorker or Israeli media on the specifics of any work it did for Weinstein.